The City of Harrisonburg first adopted a Bicycle Plan in 1994, and after several updates, combined its Bicycle and Pedestrian Plans into one Plan in 2010. The City’s Bicycle & Pedestrian Plan provides a framework for developing and implementing bicycle and pedestrian transportation in the City of Harrisonburg. Due in no small part to the hard work of SVBC members, City Council adopted the latest Bicycle & Pedestrian Plan in 2010. Read the Plan and more from the City here. SVBC is working hard alongside the City of Harrisonburg to implement this plan. In 2010, again thanks in large part to SVBC members, the City of Harrisonburg established a Bicycle and Pedestrian Subcommittee, following City Council action to formally add bicycle and pedestrian matters as an additional area of responsibility of the Transportation Safety & Advisory Commission. Several members of the Coalition sit on this sub-committee. 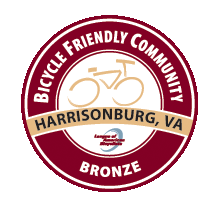 In 2011, Harrisonburg was designated a Bronze Level Bicycle Friendly Community by the League of American Bicyclists. SVBC members worked in partnership with City of Harrisonburg staff to develop a preliminary alignment of this trail, which was used to apply for initial grant funding and to gain the support and endorsement of City Council. The Bluestone Trail will be a 10-ft wide shared-use path that will connect Port Republic Road and Hillside Avenue (the entrance of James Madison University), Purcell Park and the Purcell Park Neighborhood, RMH Wellness Center, Ramblewood Park and surrounding neighborhoods, and points south near Pleasant Valley Road. The Trail will be hard surfaced for transportation and recreational use by walkers, joggers, bicyclists, etc. See here for more information. In 2011, SVBC offered its first bike-rack grants to local businesses. This year, 2013, we will offer a second set of bike-rack grants. Stay tuned! 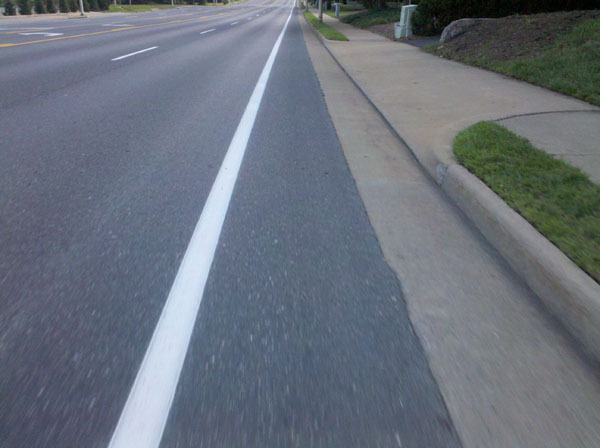 The first phase of the Main Street bike lanes were painted in August 2010. 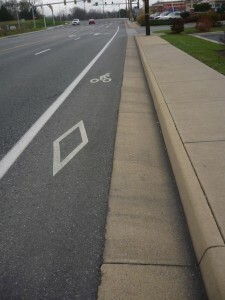 This was also the first project completed as part of the new 2010 Harrisonburg Bicycle and Pedestrian Plan. This first phase of the Main Street bike lanes go from Miller Circle to Cantrell Avenue. Since then, bike lanes have extended south on Main Street to Mosby Road. In the near future SVBC hopes to work with the City to extend the Main Street bike lanes further North and South. This is the first piece of the EMU to Downtown connector. The path helps folks navigate from Graystone Drive to Dogwood Drive without having to travel on Chicago Ave. This path was finished in the spring of 2007. Being part of the planning process for the Port Republic Road expansion was vital to making sure VDOT and the City of Harrisonburg included bicycle facilities to the City’s eastern limit and into Rockingham County. The three phases of the Port Republic Road improvement project was completed in 2010 and includes bike lanes between Forest Hills Drive to Neff Avenue/Peach Grove Avenue and a shared use path from Neff Avenue/Peach Grove Avenue to the eastern city limit. One of SVBC’s great successes is the construction and continued maintenance and development of the “Rocktown Trails” at Hillandale Park. This 3.5 mile (and growing) multi-user off-road trail system is a hit with all levels of mountain bikers, trail runners and hikers. Visit the City Park website and SVBC Hillandale Trail Page for more information. Working with James Madison University, the City of Harrisonburg and Stone Gate Apartments, SVBC pushed and helped get this ½ path open to bikes. This path is a vital connector for JMU students and local citizens connecting Neff Avenue to University Boulevard. The path was finished to Neff Ave in the summer of 2008. 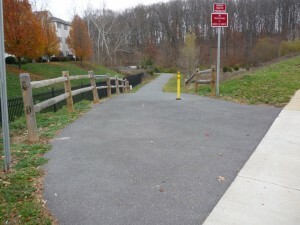 SVBC believes every neighborhood should be safely connected to a local park, and the Westover Path provides this safe connection. At the end of Elmwood Drive this path connects the Dogwood neighborhood to Westover Park without having to get on Dogwood Drive. 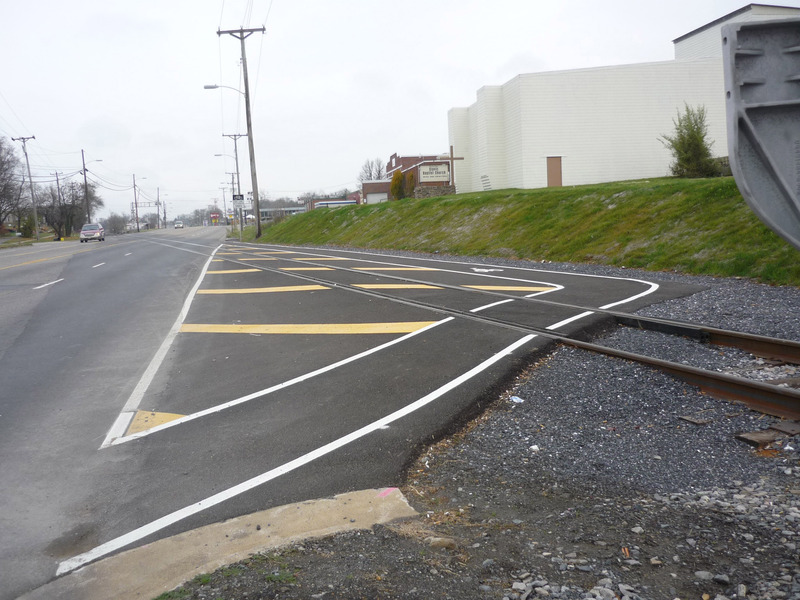 SVBC worked with the Norfolk Southern RR Company and the City of Harrisonburg to create a safer crossing over the two most dangerous RR track crossings in the City of Harrisonburg. The project was completed in the fall of 2009. Want to help finish this page or help keep it up to date? Pretty please with tail winds on top? Fill out the form below or email your Webmistress.